One of the most unique opportunities afforded by Maui’s tropical landscape is downhill biking along the slopes Haleakala Volcano. You'll be taken to the top of the 10,000+ foot summit for a stunning sunrise above the clouds before starting your adventure from the base of Haleakala National Park. While not for the faint of heart (or legs), the views from this incredible adventure are unlike any other on Maui. See the beauty of Maui’s barren volcanic landscape as it transforms into the lush hills of Upcountry Maui. Perfect for adventurous families, couples, groups of friends or solo travelers! Touted as one of the world’s best road trips, we absolutely recommend the Road to Hana for its many hidden gems and natural attractions, including cascading waterfalls, bamboo forests, jungle hiking trails, lava tubes, exotic beaches, scenic overlooks, tropical gardens, historic sites, and much more. Take a look into the Hawaii of the past on this gorgeous, winding drive, and remember - it’s not about the destination, but the journey! Whether you choose to drive it yourself or take a guided tour, it’s an experience that simply cannot be missed. While Maui is known for its many water sports and activities, one land activity that rivals any thrill in the ocean is ziplining. With locations that allow travelers to explore some of the most remote and stunning areas of the island, including Upcountry’s Piiholo Ranch, Waikapu’s Maui Tropical Plantation grounds and Ka’anapali’s natural mountain pool, you’re guaranteed to be treated to amazing views while having the time of your life ziplining alongside loved ones. The skies await, and safety is always the number one priority with any of these Maui pros! When on Maui, taste the tropics! Maui Pineapple Tour offers the only tour of a working pineapple plantation in the country, and includes fascinating information about the pineapple harvesting process, taste testing of the growth stages of pineapple, and even an optional tour of the Hali’imaile Distilling Company. Each guest receives a free pineapple as a souvenir, and has the option to enjoy a farm-fresh lunch from Hali’imaile farm. Delicious and interesting! Easily one of the most photogenic locations in the world, the island of Maui offers unique opportunities for photography. Whether you want to reserve a family portrait session on one of Maui’s 81 beaches, celebrate the beauty of your tropical wedding with the help of a professional wedding photographer, or even rent photography equipment to capture Maui’s stunning scenery yourself, there’s plenty of options to fit your needs. See which photographers we recommend, and take home memories from your trip of a lifetime. Maui is home to many growing businesses specializing in craft food, drinks and farms that will blow your mind. From distilleries and vineyards with epic ocean and island views to the inner works at a world-class brewery, you'll see first hand how these beautiful products are created. As you're driven by a fun and knowledgeable guide, you'll visit a restaurant surrounded by organic farms that create mouth-watering seasonal dishes and roast their own coffee. This is so much more than just a tour for food and drink. You'll experience Maui in a whole new light with an unique appreciation for the creative people that make our island great. You know what’s better than cruising around Maui? Cruising around Maui in a 1957 Porsche Speedster convertible! These gorgeous reproduction vehicles are the perfect way to celebrate a special occasion, arrive to your wedding site, or simply see Maui in style. 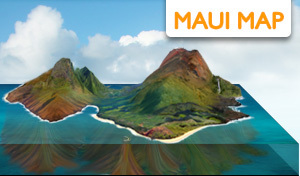 Maui Roadsters offers a fleet of colors and options, perfect for two people looking for the ride of a lifetime. Take a ride to the green hills of Upcountry Maui, through the lava fields of La Perouse Bay, or even along the winding Road to Hana. Everyone deserves the gift of relaxation, and Maui is the perfect place to treat yourself to a massage or luxurious spa treatment. While there are no shortages of five star resort spas to choose from, we prefer having the masseuse come to us! Maui’s Best Massage offers outcall service to your condo, resort or rental room, and offers a variety of treatment options, including relaxation, deep tissue and Hawaiian lomi lomi massage. Each masseuse is extremely friendly and experienced, and we love the ease of their service in the comfort of our own room. One of the most overwhelming and time-consuming tasks of traveling to Maui is deciding which places and activities are worth your time. Those of us who live here know that you simply can’t see and do everything in a single trip, and it’s always better to have a local guiding the way! Hike Maui offers private guided tours of some of Maui’s most amazing locations, including secret waterfalls along the north shore, natural saltwater pools, hiking trails with panoramic views of the lush West Maui Mountains, and even hiking trips that include zipline and kayak tours. Camping isn’t only for travelers on a budget; it’s also one of the most authentic ways to experience Maui’s natural beauty and have the adventure of a lifetime. Federal and state campgrounds are found on the chilly slopes of Haleakala Volcano, warm sands of Kanaha Beach Park, remote shores of East Maui and everywhere in between. Rent camping gear or a fully-equipped rooftop camping vehicle from Camp Maui-X, and spend some well-deserved time outdoors exploring nearby activities and enjoying the perfect year-round camping conditions. Heads up, thrill-seekers! Rappel Maui offers a completely unique experience on Maui, and one that we highly recommend for those seeking a true jungle adventure in the Aloha State. After hiking through a private 30-acre botanical garden along the Road to Hana, guests will learn how to rappel down a 60 foot jungle cliff, 50 foot waterfall and 30 foot waterfall, followed by a dip in the natural pool. Professional guides will walk you through each step of the process, and have taught thousands of successful guests of all levels. Amazingly fun! Though there is plenty to explore on Maui alone, we also recommend adding another island to the mix with a convenient day trip to Hawaii’s #1 Visitor Activity, Pearl Harbor. Choose from one of Pearl Harbor Tours’ six available tour options departing from Maui, and learn more about the events of December 7th, 1941 with a guided tour of the USS Arizona Memorial and Battleship Missouri. Best of all, combine your Pearl Harbor tour with a visit to some of Oahu’s other natural, cultural and historical attractions, including the famous North Shore beaches, Polynesian Cultural Center, Dole Plantation, ‘Iolani Palace, Chinatown and more. Meaning ‘House of the Sun,’ Haleakala Volcano is the world’s largest dormant volcano and an absolute can’t-miss when traveling on Maui. From the rugged hills and lush waterfalls of the backside to the desert-like landscapes and panoramic beauty of the top of Haleakala National Park, Haleakala is also home to more endangered species than any other U.S. National Park. 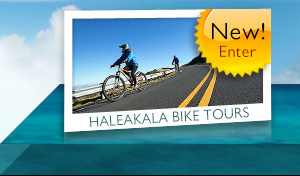 While there are a vast range of thrilling activities to experience on Haleakala - mountain biking, sunrise viewing, ziplining, hiking, camping and more - a visit to Haleakala Volcano is worthy of a visit in an of itself for not only its magnitude, but its sheer beauty and significance to the culture and history of The Valley Isle. While it may not be a classic island activity, a visit to Maui’s newest indoor trampoline park is a must. Open to all ages, sizes and physical ability levels, Ultimate Air Trampoline Park is an ideal place to exercise those leg muscles while having a ton of fun. Practice your balance near the foam pits, and jump alongside guests of your own size for safe, family-friendly fun out of the sun. Due to its strict capacity size, we recommend reserving your spot online before arriving, though walk-ins are always welcome to pop in for a spontaneous trampoline session. Residents and travelers alike love this new Maui land activity due to its convenience and affordability. Most people don’t consider horseback riding when planning their trip to Maui. However, The Valley Isle actually offers some of the best opportunities for horseback riding in the country, with epic views of rugged coastlines, Haleakala Volcano, ancient lava flows, mountains, and rolling hills of Upcountry Maui. Ironwood Ranch, Lahaina Stables, Mendes Ranch, Piiholo Ranch, Pony Express and Maui Horse Whisperer Experience all offer unique experiences for every level of rider. Being a tourist destination doesn't mean Maui only has tchotchke souvenirs. We have a vibrant culture of artists and entrepreneurs creating unique products you'll fall in love with. From beautiful hand-made clothing to Maui grown coffee, you'll be coming home with something that will help you remember your time in paradise forever. And, if you're hankering for more familiar shopping, we have plenty of malls and shopping centers. For those looking to save a bunch of money on leading designer items, we also have 147,000 square feet of open-air outlets in Lahaina Town. Hawaii’s largest and most popular aquarium, the Maui Ocean Center is an ideal family-friendly destination. Centrally located in Maalaea and open for all ages, we highly recommend a visit to this Maui institution on a rainy (or sunny) Maui day to see and learn more about Maui’s endemic marine species. All of the Ocean Center’s animals are collected directly from Maui’s waters, and they even host weekly and monthly events for kids. Adventurous guests may even want to jump in the 750,000 gallon saltwater tank for a scuba dive with the sharks! A favorite pastime for many Maui residents and visitors, as well as the location for the annual Hyundai Tournament of Champions, golf on Maui undoubtedly offers some of the most beautiful courses in the world. With locations in each major area of the island, we highly recommend the Elleair Maui Golf Club, Gold, Blue and Emerald Courses of Wailea, and variety of courses in West Maui’s Ka’anapali and Kapalua. Or for an even more memorable and remote location, head to the island of Lana’i to experience the Challenge at Manele. Hiking on Maui is absolutely one of the best ways to see and experience the island. With options for every level of fitness in every kind of landscape, the hardest part is choosing which one you should do! Some of our favorites include the river and lush greenery of ‘Iao Valley National Park, waterfall hike to Twin Falls, and bamboo forest and waterfall hike of Maui’s famed Pipiwai Trail, though there are countless others to consider. Just be careful not to wander onto personal property, be aware of flash flooding areas, and pack plenty of water and SPF! With an extensive range of ranch land, Maui is the perfect place to try an ATV or buggy tour. Most tours depart from West Maui and travel into the interior of the West Maui Mountains, often stopping at fresh water reservoirs. You’ll gain firsthand experience of the lay of the land in paradise, and have the thrill of off-roading at the same time. Channel your inner kid and get muddy on Maui! Most tours include proper safety briefings, equipment, gear, refreshments and experienced guides, not to mention plenty of amazing views along the way. With vast populations of marine life, shallow coral reefs and a variety of amazing spots to choose from, snorkeling in Maui is one of the best ocean activities available. While some of the most popular snorkeling spots can be reached from shore, we recommend joining a private or group tour for a guide to some of the best locations, or for anyone who isn’t comfortable in the ocean. Remember to always snorkel with a buddy, and avoid swimming in murky conditions or touching any coral or marine life. See the beauty of Maui under the surface! A great family-friendly ocean activity on Maui, bottom fishing is a great way to learn more about Hawaii’s marine life, appreciate the scenery of Maui’s shoreline, and even catch your own dinner! The owners of Maui Fun Charters offer small group trips on their personal fishing boat, and have years of experience in bottom fishing around the island. Enjoy personable service from the captain and crew, new equipment and electronics, and an amazing experience on the ocean. We think this is one of the best values for money out there, thanks to the intimate group sizes and level of tour personalization. From the perfect weather to the amazing sea life and views, there’s not many reasons to skip sailing the coast of Maui. Whale season, from December to April, brings some of the most exciting views, though any time of year offers warm breezes, stunning sunsets, ono grinds and refreshing cocktails. Kai Kanani is our favorite sailing charter on Maui, and the only one to depart from the sand instead of a harbor. Sail from the shores of South Maui’s Makena around Molokini Crater and the southern shoreline, and enjoy outstanding service on one of the best boats on the island. A centuries-old activity, authentic outrigger canoeing in Hawaii is one of our favorite ways to explore the ocean. Hawaiian Paddle Sports offers exciting outrigger canoe tours from south, west and northwest Maui in their 6-person or double-hulled 12-person canoes, and include fascinating information about Hawaii’s history, culture, and marine life. Learn the proper paddling technique and Hawaiian canoe commands, and depending on the season, you’ll enjoy snorkeling at one of Maui’s most popular areas or whale watching from in the canoe. An exciting adventure with gorgeous views of South Maui, rafting on Maui is the perfect way to discover Maui’s best snorkeling sites and learn more about the local geography and marine life. Redline Rafting departs conveniently from Kihei, and includes breakfast, a snorkel tour of the inside and less frequented back wall of Molokini Crater, Forbidden Coast of South Maui, and final snorkel tour of Turtle Town and delicious lunch feast. The staff are always friendly, welcoming and fun, and the small group size and raft make it perfect for groups of friends or families who don’t mind a little roughness on the ocean. If you like the idea of boating but prefer a more intimate, personalized alternative, we highly recommend a private or group kayak tour with Hawaiian Paddle Sports or Maui Kayak Adventures. Their expert staff are all Marine Naturalist certified, and have extensive knowledge of the surrounding marine life, best Maui snorkeling spots, paddling technique and proper safety measures. Tours depart daily from several convenient locations around Maui, and all include complimentary GoPro photos of your tour. During winter months, this is a great way to whale watch! If you’ve always wanted to experience the thrill of surfing, why not try it in the place it was invented! Let an experienced Maui surf guide show you the best tips for success, ideal areas of the island for your skill level, and personalized advice to ensure you have the time of your life. We suggest private surf lessons with Hawaiian Paddle Sports for beginners or those new to Maui, or for more experienced surfers, there are plenty of shops to rent a board. Remember to follow proper surf etiquette, and watch out for shallow reef breaks and wana (sea urchins). If you have experience, try renting a surfboard. For the true ocean explorers, don’t miss the opportunity to scuba dive in Hawaii. With marine life you won’t find anywhere else in the world, an amazing array of underwater locations and varieties of dives, you won’t be disappointed. Scuba Mike offers an assortment of unique dives at some of the best shore locations around Maui, or join a boat tour to explore other popular areas like Molokini Crater, the cathedrals of Lana’i, Molokai, or best shipwrecks around Maui. Remember to keep your distance from any marine life and practice proper scuba safety! There's a really fun alternative to both snorkeling and scuba diving which marries the best of both worlds. Snuba allows you to dive deeper than most snorkelers are able while breathing like a scuba diver. Your tank sits at the surface on a raft that follows you around. You don't have a BCD wrapped around you, so your more comfortable as well. Every snorkel trip to Molokini and turtle town is having more and more visitors request snuba. It's a lot of fun, and it requires no experience or certification. After a short orientation, you're ready to go! Departing from West Maui’s Lahaina Harbor, this is a wonderful activity for all ages, and especially for those who want to see the ocean from a diver’s perspective without getting wet themselves. Take a quick boat ride to the submarine, where you’ll board for a ride at around 100 to 150 feet below the surface. Fun and entertaining commentary ensues, as does an amazing view of the Carthaginian wreck and surrounding schools of tropical fish. You may even get to wave to passing scuba divers! Perfect for families, and requires a quick climb down a ladder into the submarine. A truly unique experience, learning to swim like a mermaid is memorable at it’s least and life-changing at it’s best. You experience the ocean in a fantastic new way, have complimentary photos taken while doing it, and you couldn’t ask for a better location than Maui. Mermaid swim lessons are given by professional certified instructor and lifeguard with plenty of experience with their own tails. It’s a ton of fun for kids as well as couples. This is too fun not to share! More than any other Hawaiian Island, Maui is the ultimate whale watching spot for those visiting Hawaii between the months of December and April. Swimming from Alaska to Hawaii to mate and give birth in the warm, shallow waters, thousands of Pacific Northwest humpback whales can be seen around the islands year after year. While boat tours are the most common way to see these majestic animals, kayaking, stand up paddle boarding, outrigger canoeing, standing on shore and even helicopter rides also offer amazing opportunities for viewing. One of our favorite times of year! While group sailing tours around Maui are already an excellent choice, private sailing charters are even more luxurious. Shadowfax, a 44’ sailing yacht, is available for private charter from Maalaea Harbor with the help of Captain Mike, a seasoned sailor in the Hawaiian Islands and around the world. Hop aboard this gorgeous sailboat for a private tour of up to 6 people, and choose your adventure, whether it be sailing to the most beautiful snorkeling areas around Maui, stargazing after dark, visiting a neighbor island, or even enjoying an extended live-aboard experience. Hawaiian Spinner Dolphins are known to frequent Maui’s neighbor island of Lana’i, also known as the Pineapple Isle. While you may be a lucky passenger aboard the ferry to Lana’i and witness a passing pod, an even better way to see these friendly visitors is aboard Redline Rafting’s private charter around the island, where you’ll visit spots they’re frequently known to swim. Guests will enjoy an amazing experience on the ocean with fantastic service, food, and snorkeling at some of the best, least crowded spots possible. You may have been wakeboarding on the lake, but there’s nothing quite like wakeboarding around the clear waters of Maui. Wake Maui offers wakeboarding tours from their 23’ Ski Supreme boat in West Maui, with the option of a dawn or afternoon session. The private charter ensures you spend plenty of time on the board, with additional options of snorkeling and water skiing. We love this experience, and it’s a great option for those who want to practice their wakeboarding skills in a pristine, gorgeous environment. If you want to see the most gorgeous areas of Maui in one fell swoop, there’s not a better option than from a helicopter. Not only will you see Maui from an entirely new perspective, but you’ll be treated to hidden gems you won’t have access to by land or water. Blue Hawaiian Helicopters is our favorite helicopter company, and offer tour options of the West Maui Mountains, West Maui and Molokai (where you’ll see the steepest sea cliffs in the world), Hana and Haleakala Volcano, Complete Island Tour, or Maui Spectacular with an Upcountry landing. Truly remarkable! An alternative to helicopter tours, private airplane tours are also an excellent way to see more of Hawaii’s breathtaking landscape. Hop in a twin-engine airplane with Volcano Air Tours for a tour of Maui and the Big Island’s most remote areas, including hidden waterfalls, lush rainforest, beaches, ocean cliffs, and (when possible) active lava flows in Hawaii Volcanoes National Park. Lucky visitors may even witness rainbows and humpback whales! While definitely not a budget activity, it’s an unforgettable experience for all involved. If you plan on traveling to Maui between mid May and mid December, you’re in luck for parasailing. Choose from solo or tandem parasailing, and see the island from a whole new perspective. Typically departing from popular areas of West Maui, parasailing tours offer exquisite views of the West Maui Mountains and neighbor islands of Lana’i, Kaho’olawe, Molokai and even Molokini Crater. While those who are afraid of heights may want to skip this experience, it’s one of the most amazing ways to enjoy an afternoon in the sky. 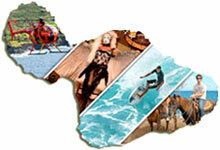 Maui Adventure Group offers a variety of suitable tours. Held on the gorgeous grounds of the Maui Tropical Plantation, Maui Chef’s Table—an intimate culinary adventure piloted by the highly-skilled chefs at The Mill House—presents nine jaw-dropping courses inspired by the island’s bounty. With an open-concept kitchen, vibrant tunes, and lively, educational conversation, this unforgettable experience sells out quick but shouldn’t be missed. Why? Besides the superb food, the setting in Waikapū Valley is downright epic. Though Maui isn’t known for its thrilling nightlife scene, there’s still plenty of opportunity to have fun with friends or family after dark. Located in North Kihei, Island Art Party includes an evening of painting, drinking and talking story with friends and strangers alike. After you gather your painting materials, a resident ‘Partista’ will give detailed, patient instructions for you to recreate that evening’s chosen painting, all while munching on popcorn and sipping an adult beverage. Plus, you’ll leave with your very own Maui-made souvenir! A Hawaii vacation staple, there are several entertaining luaus to choose from on Maui. Typically featuring a buffet or sit-down dinner, as well as authentic Hawaiian or Polynesian dance, music and entertainment, this is a wonderful family-friendly experience for all ages. We love the Old Lahaina Luau for its entertainment and food, though the Feast at Lele puts on an amazing show as well. Ask your hotel concierge for suggestions, or read reviews to decide what you’re looking for, whether it be the best authentic Hawaiian food, fire dancing or views. Take your teamwork skills to the next level during a fun, unforgettable and challenging Mystery Maui experience. Solve one of two exhilarating mystery scenarios - The Ramen Shop & Stella Superstar - in one hour or less, and enjoy a whole different kind of thrill on The Valley Isle. One of our absolute favorite activities and nighttime suggestions on Maui, don’t leave without going on a scenic sunset and cocktail cruise! Though there are no shortage of excellent companies and boats to choose from, we love Trilogy’s Captain’s dinner, Pride of Maui’s sunset cruise, Kai Kanani’s cocktail cruise and Quicksilver’s dinner cruise. Departing from all major areas of south, west and central Maui, most tours include live music entertainment, cocktails, stunning sunset views, and delicious food. Maui is home to a number of great annual festivals, events and celebrations, as well as weekly events for every kind of visitor and interest. For your convenience, we’ve outlined some of the best events happening around Maui every month, including popular events like the Maui Film Festival, Whale Festival, Lahaina’s Front Street Halloween celebration and more. Also feel free to submit your event to our calendar, and keep an eye on new events to plan exciting local attractions to attend the next time you’re in paradise! For a small island in the middle of the ocean, Maui still gets a fair amount of love from local and international music acts. Check schedules at popular venues like the Maui Arts & Cultural Center, or plan on attending one of the many regularly scheduled theatrical shows like ‘Ulalena, Burn’n Love or more. If all else fails, there are always plenty of restaurants and bars that offer live music from some of Maui’s most talented local musicians! Ask around for recommendations, and go where the locals go!